The low-key Kardashian, Rob Kardashian, will soon be a daddy with his partner Blac Chyna. The pair is expecting a girl in early November. Although the couple is excited to embark on their newest adventure, they have had a lot to deal with during the pregnancy. Here are some highlights. Pregnancy reveal gets backlash: When Rob informed his famous sisters about the pregnancy, his sisters did not react warmly. From all the sisters, Khloe reacted the worst, saying that she did not know how to react and that she felt internally sad. She said that she didn’t think that this baby was a blessing, but if it helps the couple stay together, that’s a good thing. She went to say that she does not know what the next step will be for her brother and his partner. People questioned if Rob’s the Father: Social media did not take the news well, and trolls on social media, questioned if Rob was even the father. To placate the media, Chyna decided to take a paternity test and showed the results on an episode of Rob & Chyna. It’s a Girl: The couple was the happiest when they found out they were expecting a girl. Rob said that he wanted a boy, but was sure that he would have a good relationship with his daughter. 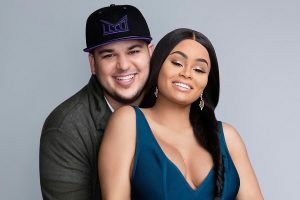 Chyna kicks Rob out: When Chyna found Rob snooping through her phone, to see if she was texting other guys, she was unsure if she could have a relationship with him. After a big blowout, Chyna asked Rob to move out from the home that they share.